13 Dec 2018 --- GoodMills Innovation is set to launch two wholegrain innovations next year. The first is a rutin-rich Tartary buckwheat line of products, called RutinX, while the White Gold range includes a high fiber wholegrain concentrate, which is touted as providing gut health benefits. Showcasing the ingredients at the HiE 2018 in Frankfurt, Germany, the company explained how innovative products can be formulated from the combination of ancient ingredients and contemporary science. Tartary buckwheat is a pseudocereal, rich in phytochemical rutin, and is widely used in traditional Chinese medicine. The company aims to bring attention back to the pseudocereal and its properties. “Tartary buckwheat is a special type of buckwheat with 100 times higher content of rutin. Rutin has certain effects on the body, for example, it has an effect on blood sugar and the insulin levels after consuming carbohydrates. Certain nutritypes react quite well to it,” Malte Schottmayer, Junior Product Manager at Goodmills Innovation, tells FoodIngredientsFirst at the HiE 2018. Tartary buckwheat is a seed that has the functionalities of a cereal, or a pseudo-cereal as it is coined. Goodmills Innovation uses state-of-the-art refinement technology to harness its nutritional value and unique taste properties. Apart from its nutritional value, rutin is also a known antioxidant and anti-inflammatory ingredient and is also rich in the trace element zinc. 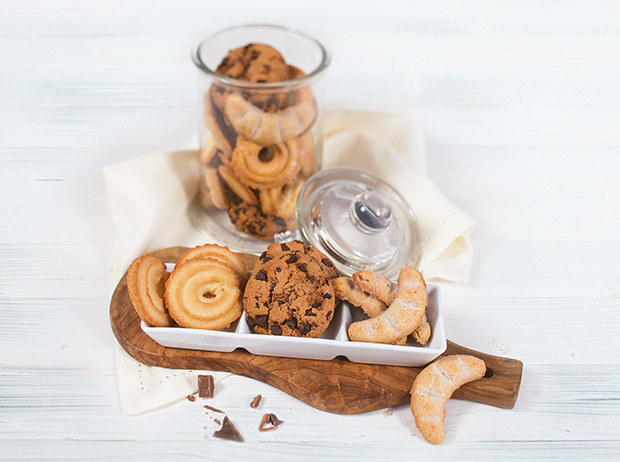 Baked goods with RutinX have been found to support carbohydrate metabolism, and in early 2019, the company is launching additional scientific studies to investigate the blood sugar-regulating properties of this superfood. 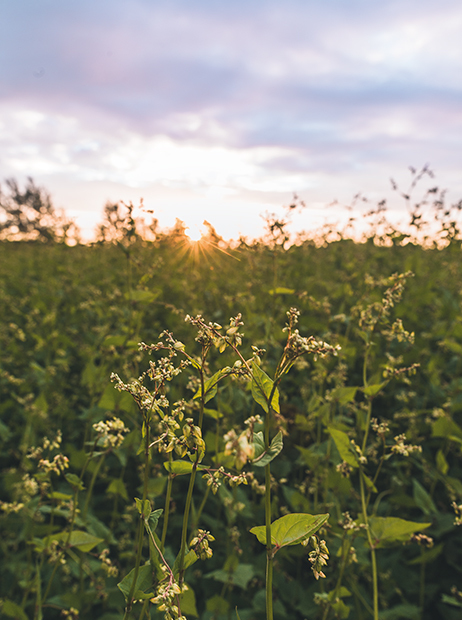 “Despite all the health benefits of Tartary buckwheat, it also offered us a great challenge: the taste. That’s because the rutin contained in the pseudo-grain causes a very strong bitter note. However, we found the solution in a patented, special fermentation process. This allows us to achieve an optimal sensory profile and, at the same time, maintain the full nutritional benefit and even expand it,” says Michael Gusko, Managing Director of GoodMills Innovation. RutinX is suited for bread and roll recipes, as well as pastries. The range will include both flour and crispies made from fermented Tartary buckwheat. The good sensory and technological characteristics of RutinX also allow for other applications such as pasta, muesli and functional drinks, according to the company. “This buckwheat combines the taste of the good old days with today's high demands for healthy food. For me, it is – despite its long history – an ingredient of the future, a true European superfood: it is very resistant to pests, tolerates strong sunlight as well as cold or inhospitable altitudes, hardly does not require any fertilization and contains many valuable plant constituents,” adds Professor Ivan Kreft, Emeritus of the Biotechnical Faculty of Ljubljana. “The tastings at the exhibition illustrated the range of tasty baked goods and confectionery products that are possible with Tartary Buckwheat. After strong interest from visitors to the stand, I am sure that we will soon find more and more innovative products with this buckwheat variety on the market,” he adds. The company also presented its new wholegrain concentrate White Gold, made of High MAC-fiber at the HiE. The abbreviation MAC stands for microbiota accessible carbohydrates; special dietary fibers that are particularly bioavailable for intestinal bacteria. These special properties are the result of the way the fiber is processed. These carbohydrates can be metabolized by certain strains of bacteria in the gut which may be beneficial for one’s digestive system and overall health, according to Schottmayer. In sensory terms, the micronized fiber is appealing because of its light color and slightly sweet taste. Possible applications include various prebiotic bakery products, but it can also be used in shakes and smoothies because there is no impairment in mouth feeling thanks to the fine granulation. Further explaining how the products cater to the rising trend of personalized nutrition, Schottmayer says that “one size fits all” is now an outdated idea in the food industry, as people prefer ingredient specific products that cater to their individual needs. He also notes that this is evident by the fitness tracking and diet tracking trends. “There is a need to provide different food solutions for different types of people so we have ingredients that have different effects on the body and depending on people’s gut flora and lifestyle. We have functional foods that cater to certain nutritypes of people,” he concludes.